How do I build a promotion with a shareable discount link? 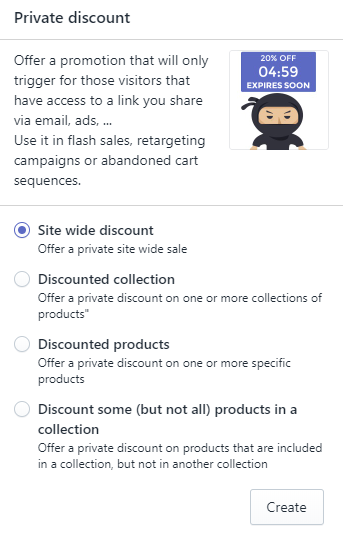 Discount Ninja allows you to set up both public and private promotions (read more about that here). Shareable discount links are available for private promotions. Create a new promotion of type "Private discount"
Create a new promotion, select any type of "Private discount"
On the confirmation screen click "Edit promotion"
Find the "Shareable link builder" tab and use the wizard to create your link.